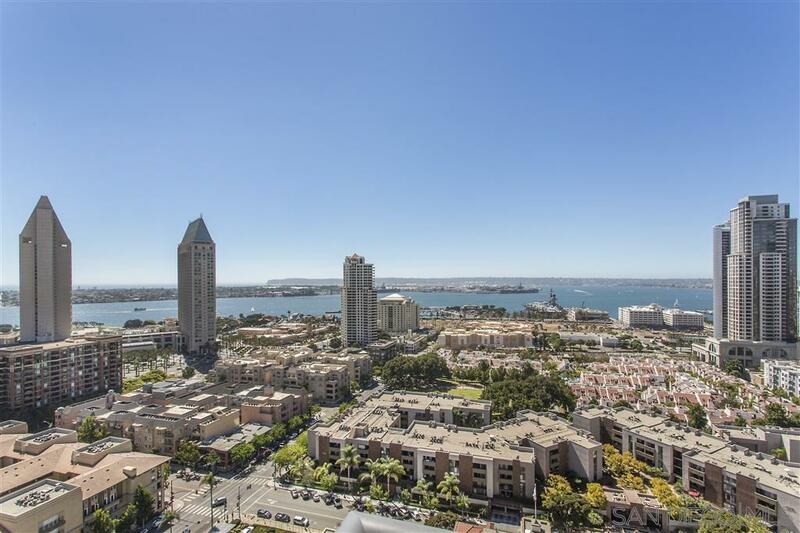 700 Front #1805, San Diego, CA 92101 (#180055489) :: Neuman & Neuman Real Estate Inc.
Don't miss this rarefied opportunity! First time on the market and listed below appraised value. 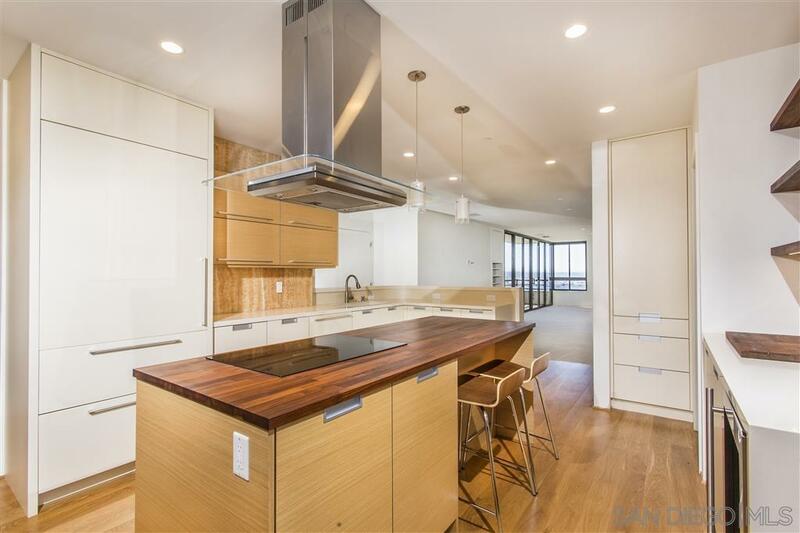 Very popular spacious floor plan; excellent corner location with panoramic wrap around views. Luminous interior throughout. MERIDIAN 1805 is highest available floor location of this seamless open floor plan. 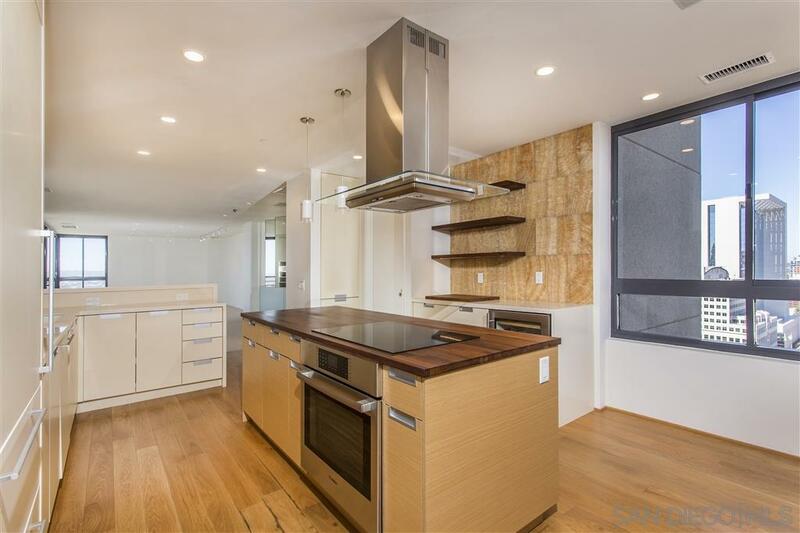 Recent remodeling includes a contemporary kitchen/dining area, top-of-the-line appliances; abundant storage; en suite bedrooms separated for privacy. 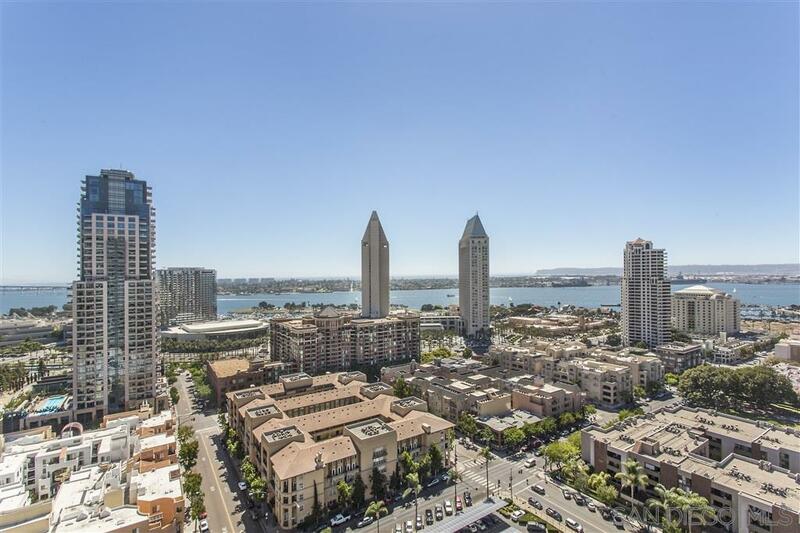 Endless panoramic city, bay and ocean views. Unique design with classic elements, don't miss newly created floor plan in documents. MERIDIAN CONDOMINIUMS, a landmark residential community, deliberately conceived and impeccably crafted remains without peer. Incomparable services are offered by an attentive staff consisting of 24 hour Parking Attendants for Residents and their Guests, Door Person, Porter, Concierge and more. A completely separate service entry with loading dock and service elevator is staffed with Porters to accept packages, deliveries and tradespeople. For your convenience, groceries, packages, dry cleaning, luggage and more can be delivered to your door! Impeccably maintained, pride of ownership abounds. Whether you are entertaining on a grand scale or merely relaxing by the sparkling pool, MERIDIANÃ¢â‚¬â„¢s accommodations are sure to exceed your needs. The MERIDIAN Room, designed with a catering kitchen, bar, cloakroom, and restrooms offers an elegant entertaining environment for both large scale and intimate parties. Elegant formal gardens, a grove of citrus trees, an outdoor spa and adjoining fire pit complement the inviting pool and lounging/sunning areas on the unique 2/3 of an acre plaza elevated above the city space. Other features adding to the convenience and comfort at MERIDIAN are two newly renovated spa and fitness facilities, five recently remodeled lovely Guest Suites to welcome visiting friends and family, specially curated private art gallery, and conference room ideal for business meetings and presentations or small-scale entertaining. At the foot of MERIDIAN, lies Meridian Place, offering a myriad of fine retailers to conveniently complete the needs of your lifestyle. Salon and spa services, cosmetic dentistry, dry cleaning, fine dining and much more are literally an elevator ride away. Take advantage of MERIDIANÃ¢â‚¬â„¢s premier downtown location and explore the countless restaurants, elegant shopping, cultural attractions and miles of scenic pathways. Enjoy a lifestyle that is without parallel . . . enjoy MERIDIAN living!